Walter Granville-Smith (also known as Walter G. Smith) was born in South Granville, NY on January 28, 1870. He grew up in Newark, NJ, where he attended the Newark Academy. His first instruction in painting was from Dr. David McClure. As a teenager he became the pupil of Walter Satterlee in New York for a period of five years. He then studied at the Art Students League of New York where he was the pupil of Willard Metcalf and James Carroll Beckwith. Granville-Smith started his career as a magazine illustrator. He was noted for his pioneering work in color. As an illustrator, he produced the first colored illustration to appear in the United States, for Gertrude Atherton’s “The Christmas Witch,” in Godey’s Lady’s Magazine. His illustrations would appear in many late 19th and early 20th century publications, including Harper’s, Scribner’s, Truth, Century, and Collier’s. In 1897 Granville-Smith toured Europe, visiting Holland, Belgium, and France. In Paris he studied at the Academie Julien. 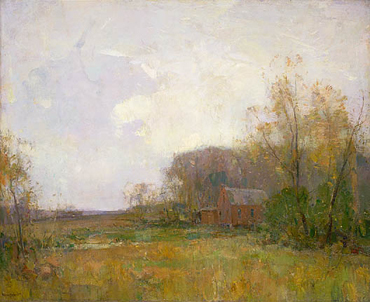 It was around this time that Granville-Smith began to focus more on landscape painting. Prior to his travels in Europe, he began vacationing on the South Shore of Long Island and would eventually acquire a summer home in Bellport, NY in 1908. The surroundings there became favorite subjects of his landscape and marine paintings. Granville-Smith was a National Academician (1915) with the National Academy of Design and belonged to several art clubs and societies. 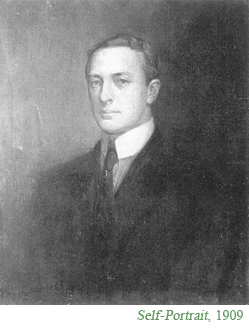 (List below) From 1924 to 1926 he served as president of the Salmagundi Club in New York. His works are part of the permanent collections of the Smithsonian Institution (“Grey Day”), Butler Art Institute (“The Willows”), Toledo Museum (“South Haven Mill”), Salmagundi Club, Lotos Club, Fencers Club of New York and the Art Club of Philadelphia. His New York Studio was located at 96 Fifth Avenue. He and his wife, Jessie, had one daughter and two sons. On December 7, 1938, Granville-Smith passed away at the home of his daughter in Jackson Heights, Queens, NY.